A drone outfitted with infrared sensors provides key data that can be used to develop prescriptions for targeted, precise in-season nitrogen applications. Drones are being used to determine plant health, inventory plants, collect farm asset info, assess crop damage and determine areas of low soil moisture. New FAA rules for commercial use of drones require pilots to be at least 16, and keep the unmanned aircraft within visual line of sight. At times, and never at the right time, the simplest question can stump the smartest person. “There’s value and return on investment in finding problems before the combine,” says Precision Drone Owner Matt Minnes, who demonstrated the drone during the 2015 Farm Science Review. Drones manufactured by Event 38 can be operated from smartphones. The FAA will accept public comment on proposed drone use rules until April 24,but don't look for the final rules until at least next year. The FFA had only issued 11 drone permits previously. 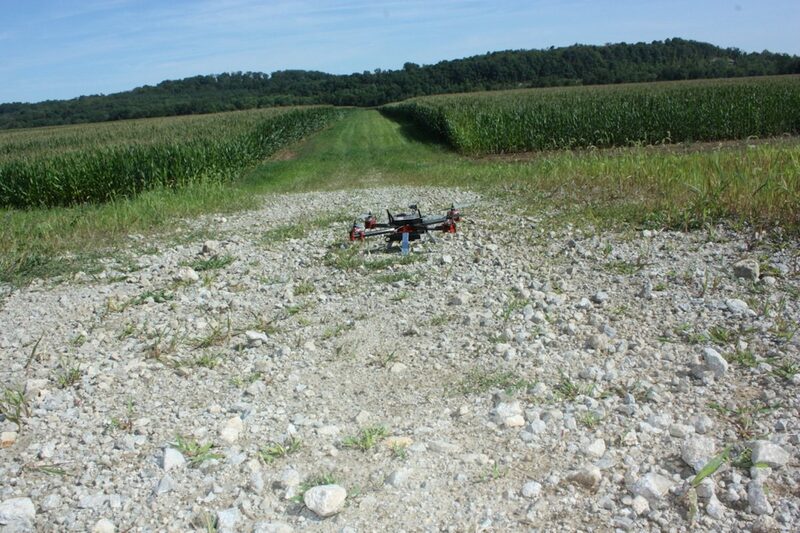 Drones are being used to aid in crop scouting. One eastern Ohio company, TMK Bakersville, put together its own unmanned aerial vehicle and has had it up in the air this summer.